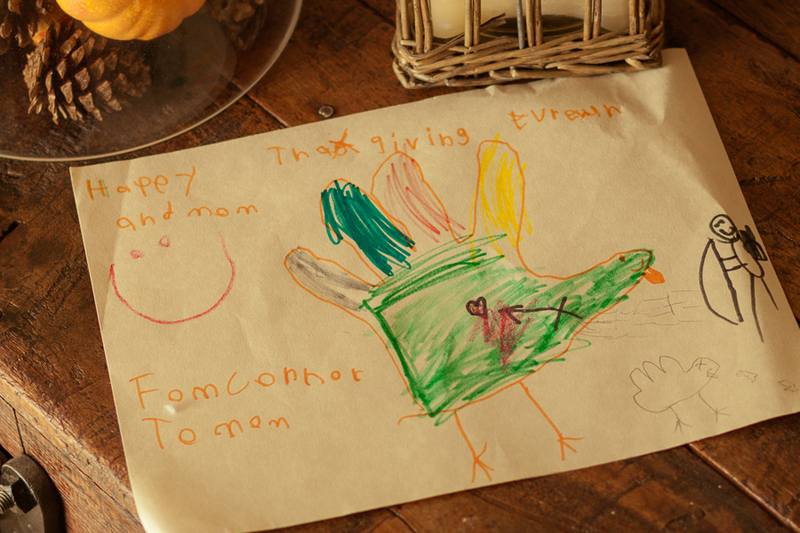 It came time to go around the table and say what we were most thankful for … and I blanked. I couldn’t talk and I passed. I’ll make one small excuse and note that my grandma went off on a bit of a tangent about working nights (her family will be happy to know that her first comment was that she was thankful her children were all alive). Looking back, I feel really, really awful about it. My grandpa, were he alive, likely would have smacked me and said that of course I had to come up with something. Passing is for pansies. (I can actually hear him saying something of the sort). Far worse though, is that I know it hurt my mom. I told her (and my dad) later as I was leaving that I know I have much, so much, to be thankful for but it just didn’t feel right. I was sorry. May you too find a reason, today and every day, to give thanks. Or my grandpa will pop into your mind and call you a pansy as well. This entry was posted in the best part of me and tagged celebrate, connor, family, holidays, memories, seasons, thanksgiving by staci. Bookmark the permalink.